The model for UNCG faculty is the teacher-scholar. UNCG professors intentionally integrate their scholarship into the classroom and provide opportunities for students – even undergraduates in their first year – to work alongside of them. UNCG’s newest faculty span a range of backgrounds, academic disciplines and research interests. To see the full list of new faculty, visit the Provost’s website here. 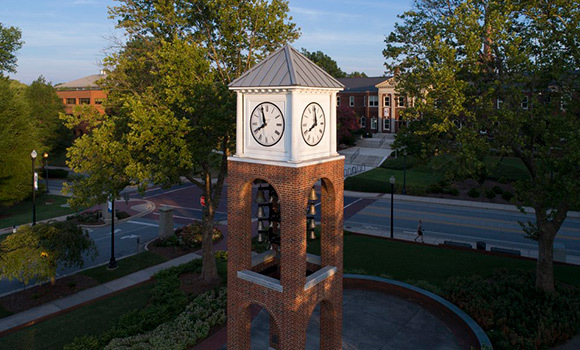 Yang comes to UNCG after spending 11 years at the University of Texas at Arlington. His research focuses on family decision-making and cultural consumer psychology and has been published in leading scholarly journals, including the Journal of Marketing, the Journal of Consumer Research and the Journal of Experimental Social Psychology, among others. Before entering academia, Yang spent over 10 years in industry. Aarnio spent two years at the University of Colorado Boulder before arriving in Greensboro this fall. She is interested in how magnetic fields mediate the flux of mass and energy within a star-disk system and is working on several projects related to this overarching theme. Echeverría worked for many years in global health care before returning to Columbia University to complete her PhD. She now joins UNCG by way of City University of New York. As a social epidemiologist, Echeverría uses an interdisciplinary lens to understand the complex social processes that produce health inequalities for Latinos and other racially/ethnically diverse groups living in the United States. An accomplished jazz trumpeter, Heflin joins UNCG’s renowned jazz program as assistant professor of jazz brass. Heflin is a graduate of the University of Tennessee, where he studied with jazz education pioneer Jerry Coker. He received his master’s degree from William Paterson University and his doctorate in music performance (jazz emphasis) from the University of Texas at Austin. He is co-author of the book “Understanding Music: Past and Present,” and is also a recording artist. Moorefield-Lang started her career as a theater teacher and school librarian in North Carolina. She has long been interested in how technologies can enhance instruction in libraries and classrooms. Her current research focuses on makerspaces in libraries of all types. In 2016, she was nominated for the White House Champion of Change for Making, and in 2018, she was recognized as an American Association of School Librarians Social Media Superstar in the area of Tech Troubadours. Sowicz joins UNCG’s nationally recognized School of Nursing after serving as advanced fellow in addiction treatment in the VA Pittsburgh Healthcare System. Sowicz earned his PhD from the University of Pennsylvania, where he researched the documentation of sexual histories in clinical practice.